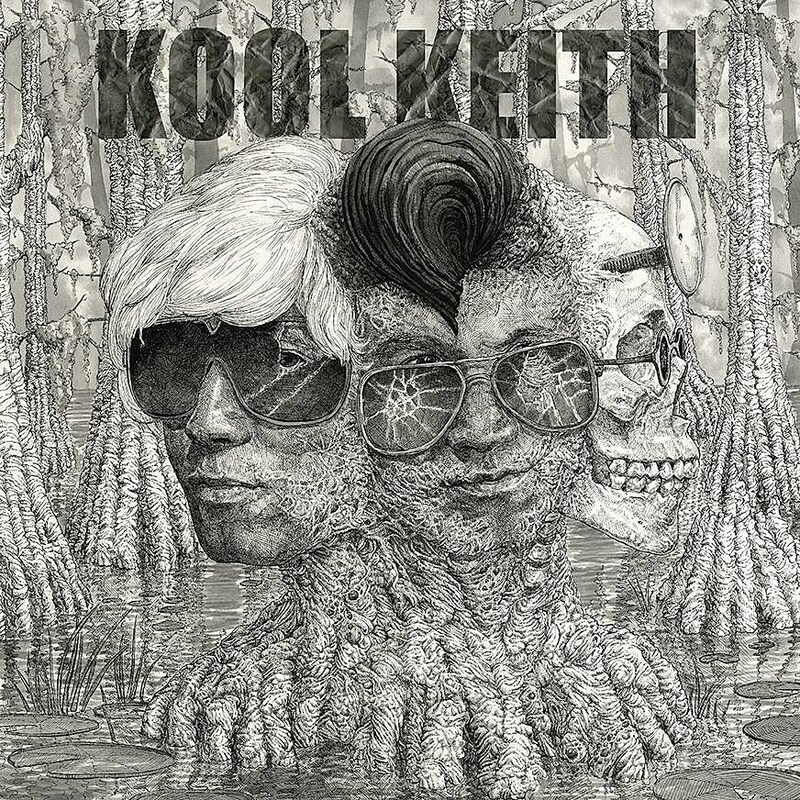 Abstract rap legend Kool Keith is having a pretty metal year. His recently-released EP featured a mashup with Dead Cross, and for Record Store Day he’s releasing a collaborative single with Nashville powerviolence duo Thetan, “Complicated Trip.” Thetan slow it down compared to the stuff on their recent album Abysmal, and they provide Keith a head-nodding dose of heavy psych that works just fine as a hip hop beat. There’s a little classic turntablism in the mix too. The approach we took to the music would seem to be a complete deviation from our sound to anyone familiar with our albums. But in all actuality, we have always tried to sneak in some experimental, weird ideas. For a couple years we had even planned to do an entire album of dark psychedelic stuff, but that just never materialized. With this project we approached it in a similar way to how we had talked about doing that album, albeit in a less abstract more structured way. The record was meticulously crafted and mastered by Emery at his Black Matter Mastering (Buzzov*en, Dwarves, Krieg) with tons of special perks. In addition to the title cut, the 12” also bears an instrumental version of the track – both songs are pressed on the A-side of the LP as parallel grooves, where the listener has a 50/50 shot of hitting one track or the other when the stylus is dropped onto the wax. A bonus third track also appears over a playable etching on the A-side, as well as a zoetrope style etching on the record’s edge, and an etching hidden under the center label. The intense cover art for the single and equally insanely detailed B-side etching was drawn by Caroline Harrison. Kool Keith also has some upcoming shows, including a Rocks Off Cruise in NYC on April 19 (tickets). All dates are listed below.